How To Buy A First Pair Of Boots At 65 Years Old. I just found and joined your group. I was wondering if you can give me some guidance on how to buy my first pair of boots (so many choices). I am 65 years old and weigh 215 on a 5’10 frame. Have skied Lake Tahoe, Aspen, Breckenridge, Telluride, Steamboat, and headed to Big Sky in March. Ski once or twice a year and can ski mainly groomed blacks and some ungroomed. Have always rented my equipment. But thinking about taking the plunge and purchasing ski boats. Any suggestions? Response From Steve Cohen, CEO of MasterFit, skiing’s foremost company on boot and shoe fitting. Wow! You’ve been a lot of great places. Too bad you didn’t experience them with your own ski boots! There’s nothing like having your own boots that are fit to your feet. The best advice we can give is to put yourself in the hands of a professional bootfit shop. And doing it at a ski area lets you make quick revisits for modifications, if necessary. If you’re heading to Big Sky, we recommend Grizzly Outfitters. They’re a member of the America’s Best Bootfitters organization of top shops that specialize in bootfitting. Check them out at www.bootfitters.com. 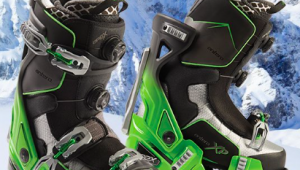 If warmth, comfort and ease of getting in & out of ski boots are important features to you. You should consider Apex Boots. After skiing for 40+ years and owning many pairs and brands of ski boots. Apex is the first pair that I’m truly comfortable and warm in. Plus, I have not lost any performance. Apex boots are more expensive but they are worth the extra cost. I bought my pair after testing them at their demo center in Golden CO.
One problem with Apex boots is their limited distribution and support. Eric, what limited distribution are you talking about? And the list goes on to over 200 Specialty Ski Retail locations in the US! Big Sky has a great boot fitter, The Boot Doctor,who has a shop also in Taos. His name is Bob Gleason who fitted my narrow 12A foot with boots that lasted 20 plus years. Visit his shop, then listen to advise as he also is a boot and ski tester on a regular basis. Bob Gleason’s shop is called The Boot Doctors. Sorry, I referred to wrong ski area. Bob Is in Telluride,not Big Sky. I like yourself,have skied in all your previous areas,last year in Big Sky.the last 2 years prior at Telluride.I think his shop in Taos is no longer his top priority. I just began my 58th year of Alpine skiing. I have owned M A N Y high end boots during my many involvements in skiing. I purchased a pair of Dodge Ski Boots, Vermont. if warmth, comfort and superior edge control are part of your ski boot equation…. I’m still a big fan of Full Tilt ski boots, the modern version of the old Raichle Flexon Comp (aka Full Flex) boots. Go to the tab on the SeniorsSkiing website for “Gea” and select “Boots” to see my article on them: “Back to the Future with Full Tilt Boots” posted Oct. 7, 2016. Very easy to get on and off, and the soft liner heat molds to your feet as you wear them. Can be adjusted in various ways by you or a good bootfitter. Check their website for dealers near you. Last season I actually found a pair of brand new Head rear entry boots at the famous (infamous?) Ski Truck in Salt Lake City. They advertise them online, but I went out there and poked through the many rooms stuffed with gear of all kinds–new and used–to find them. Very comfy, and retro to boot (so to speak). I alternate them with the Full Tilts and have very happy feet. Oops, I typed “Gea” and meant “Gear.” The fresh snow out my window this morning distracted me. I am 64, skiing since about 7 years old, raced and taught skiing for several years in Utah. I purchased some APEX boots 3 years ago at REI in Anchorage Alaska. I have the high end green ones and they are the BEST! I had REI heat the liners for fitting, put the stiffest rubber flex grommets in and Wow!!! They are plenty stiff as I prefer, yet warm and comfortable! I ski on Race Stock Atomic Reds GS skies, some Fisher World Cup SL skies for lots of turns and some of the new BD Boundary Pros for everything else. Best boots ever!!! I live in the Tahoe area and I mentioned Apex at a ski shop. The uneducated store manager informed me that “those boots are for rich people from Florida that can not ski.” Uninformed and uneducated fits this guy. Now their not race boots but are great for all levels of skiing due to the adjustability and comfort. From full on Expert double diamond to intermediate with the softer rubber flex grommets! They are worth the investment in my opinion!!! 1. Ransack the internet for articles on buying guides for ski boots. The Bootfitter website noted by Mr. Cohen is good but there are many other reputable sites that also offer good advice and provide information on factors to consider when buying ski boots, Skis.com Ski Boot Buying Guide does a good job of explaining the various ski boot terms that may determine which ski boot will be better for you. If you have even a basic understanding of what is meant by boot flex, sizing and how your leg and foot shape effect which boot may be the best one for you it puts you in a better position to understand what is being said to you when you are trying on boots. 2. Again, ransack the internet for ski boot testing results and reviews and read what other skiers have to say about their boots. Make a list of boots that seem like they would be right for you and mention your list to the experienced boot fitter when you get ready to try on boots. Be aware that no ski shop can afford to carry every brand of ski boot so if the boot fitter suggests boots other than those on your list be prepared to listen. Your foot or leg shape may make what you thought were the right boot for you totally inappropriate no matter how highly the particular boot may have been rated by testers. Under no circumstances buy boots based on the brand name. The best boot for you is one that fits your foot properly and is appropriate for your age and abilities. An experienced boot fitter will be able to properly guide you on which boot is going to be best for you. 3. Give some thought to what sort of socks you think you prefer to wear when skiing. Today’s boots, if properly fitted, tend to be warmer so if you have tended to wear thick socks be prepared for an experience boot fitter to suggest that you might want to consider using a thinner sock to get a better fit while still being able to enjoy reasonably warm feet. 4. Lastly, before deciding which boot you want to buy, give some consideration to how long you expect to keep skiing and if you expect to continue going on a one or two week ski holiday once a year or if you expect to go skiing more often. If properly cared for and properly stored when not in use, your new boots could well last you 5 years or more particularly if you continue to only ski once or twice a year. 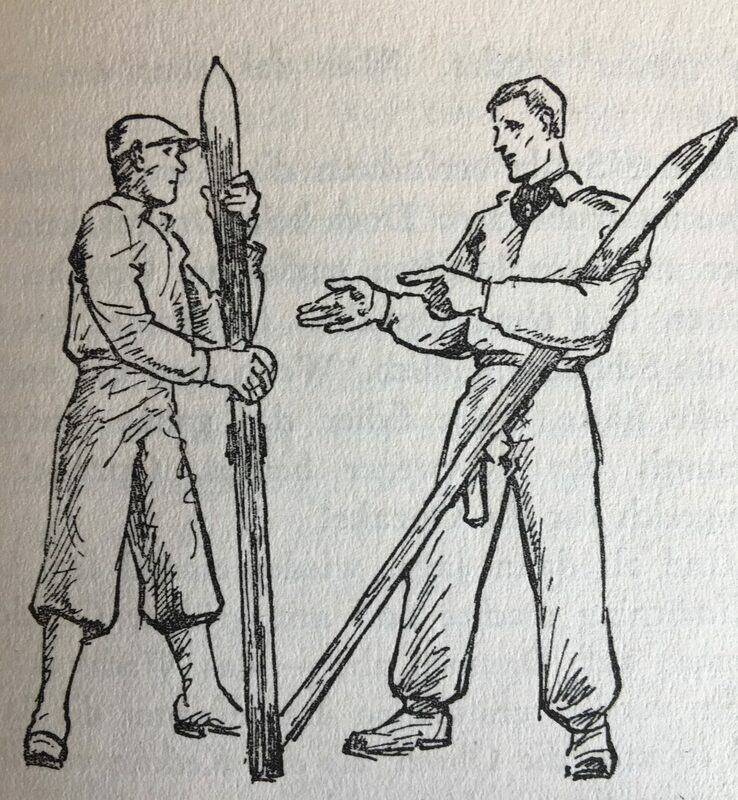 Unfortunately as we age our muscular strength tends to diminish so a boot with a stiffness (flex) that is appropriate for ones skiing abilities today may become more difficult to ski well in as ones muscular ability to properly flex the boot diminishes as we age. If you plan on buying new boots every year or two this is not an issue but if you are hoping to keep the boots for 5 years or more, its worth discussing this with the experienced boot fitter as it may effect the selection of what may be the right boot for you not only today but in the years to come. Hope these further suggestions are of some use to you. Whatever you decide to do, you will most certainly enjoy having your own boots and are likely to find that your skiing improves because of them. Enjoy Big Sky. Was there in 1984 when it was smaller than it is now and had a great time. If it is still offered, give some thought to trading a day of skiing for a day of snowmobiling in Yellowstone. Don’t take all the boot test results, to heart. What is good for a couple of skiers, might not be right for you. Most boot manufacturers make narrow, medium and wide models, in different flexes. There are far too many variables, to list them here. The most important part of the boot fit is the evaluation of your foot, ankle and leg shape, by an experienced boot fitter. One comment about ski socks: Try a pair of compression ski socks. Yes, they are a bit more expensive, but they will continually “massage” your calf, while skiing, and at the same time, improve blood flow to your foot. Lastly, if your boot fitter suggests a pair of pre-made or custom insoles, give them some serious thought. Skiing places tremendous pressure through your arch. For an efficient transfer of that force to your ski edge, you need a supported arch. I’m two months short of 73 and bought a pair of Apex MC-Xs 3 years ago. They are comfortable, warm, exert more than enough control for the most advanced skier. My skis are Atomic Arcs. I’ve been skiing since I was 29 in 1975 and learned on boiler plate at Mount Snow. The people who designed the Apex boots were the same people, led by Denny Hansen who designed the rear entry Hanson’s of the 70s. Yes, the Apex are limited distribution and at a slightly higher price point, however, they are worth the money – for your comfort, control, and your safety. I wouldn’t trust the advice of a part-time salesperson at a ski-shop (on or off mountain). Find the people who have actually used them and have a history of skiing, East and West. Finally, I believe Apex are more widely available in the West. I was just out at Steamboat and one of the staff saw them on me and started a conversation about the fact he just started wearing them and how much he liked them. Best of luck, the fact you are skiing on ungroomed black is pretty amazing! The Apex boot is a good boot and it is especially good for people who have some foot issues. If you have a ‘normal’ foot a good boot fitter will get you in the right boot. As for rear entry boots-Fischer is coming out with a ‘modern’ version of the rear entry boot for 2019. At the Outdoor Retailer Snow Show in Denver, last week (Jan 30 – Feb 1, 2019), Atomic introduced the Rear Entry Savor Boot, in a retail and a rental version, for the 2019/2020 season. I know skiers who have found the Apex boot, amazing. If you do not have an unlimited budget, you can probably get a good used boot. Every model is slightlly different but if you have a low volume foot probably a Salomon would work well. A high volume foot probably needs a Lange or a Dalbello. The lasts vary but 98mm to 104mm is standard. If you want your feet to be warm consider Hotronics. The most important part of the boot fit is that your heel is snug in the boot. The forefoot portion can be customized. I prefer to buy a lightly used boot and spend the money on Hotronics and a boot fitter. One cannot say, “a Solomon,” or any other boot, is this that or the other. Boots are shape, size, and model specific! Most boot manufacturers make narrow, medium and wide boots, in multiple flexes. You can’t just go into a ski specialty shop and say, “I want a black Nordica boot, in size 9 1/2! As for used boots, liners have a limited life and can become worn out, the most common reason someone wants to get rid of them! Lots of experienced advice here. After a 20 year hiatus from skiing, I retired to Park City and bought fitted Technica boots from Cole Sports (ask for Dude, he is the best expert in town). I’ve also heard good things about Park City Ski Boots. Both require an appointment and fit most of the US Ski Team. Dale ski boots out of Salt Lake City are the best fitting and most comfortable pair of ski boot I have ever had. The fitter in Bend, Oregon (Footform Orthotics) was patient, very thorough, and not satisfied until I was 100% happy with the boots. He even had me back after my first time on the slopes. Not cheap but worth it. 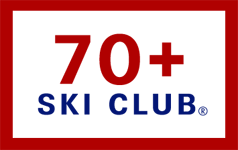 I am 70 yo and have skied all over the US and Europe starting with leather double boot and WWII surplus skis in the early 60s.